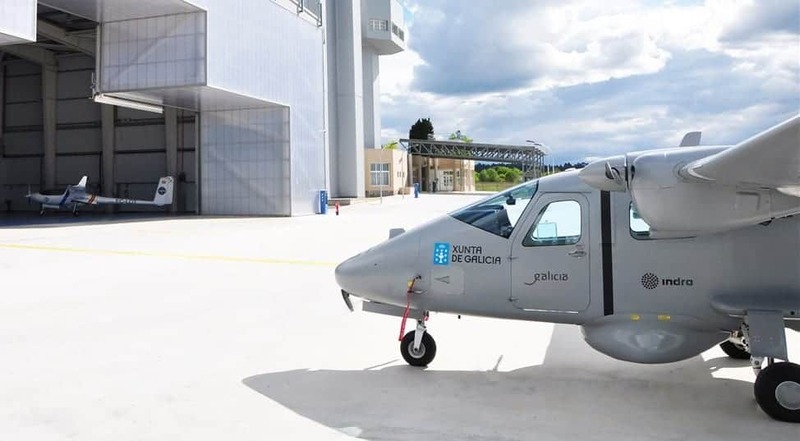 Indra, a leading global technology and consulting company, and its partner Gaerum have begun simulated flight tests for the optionally piloted Targus aircraft, to validate the design of the aircraft’s critical systems. Specifically, they have begun studying the flight control, navigation and mission systems – fundamental components in the safety and operability of the aircraft. Tests are being conducted at the CIAR (Rozas’ Center for Research and Experimentation) in Castro de Rei (Lugo), using an advanced simulation methodology known as Software-In-the-Loop/ Hardware-In-the-Loop that makes aircraft systems “believe” that they are actually in the air. Engineers test the electronic systems’ behavior in an environment set up to be 100% realistic, using data feeds collected in real flights to perfectly replicate situations they will face when operating in a real environment. In this way, the results of the numerical simulations previously performed in the laboratory by the Indra and Gaerum team are fine-tuned. Design decisions are validated before moving on to the actual flight test phase, which reduces costs and minimizes risks associated with development and experimentation. Once the correlation between the behavior of the system in the simulator and in the air is confirmed with a flight test, all these simulation hours will be regarded as real flight hours. The deadlines for obtaining authorities’ flight certification are expedited in this way; a complex, demanding and totally unprecedented process for an aircraft with the characteristics of the Targus, which weighs 1.2 tons and has a wingspan of 11 meters. The use of the simulation tool will shorten the time to market and reduce the price at which the product will be marketed, thereby contributing to its success. Once the tests with these components are completed, the next step will be to integrate them into the experimental aircraft for the development of the Targus. The aircraft will undergo hundreds of hours of simulation to improve the models of the aircraft and all its sensors and actuators. Then, a battery of tests in the simulator will optimize the algorithms of the flight control and navigation system. Once these tests are passed, the flight experimentation stage will be undertaken. Meanwhile, Indra is already working in parallel on the integration of the ground segment, a system whose role is to operate the aircraft from the ground and control all its mission equipment. These are the ones that collect and send data and images captured by the aircraft from overhead. The Targus is an optionally manned aircraft developed by Indra as part of the Civil UAVs Initiative promoted by the Xunta de Galicia. The Targus is equipped with the most advanced surveillance technology to conduct missions related to maritime surveillance; to bring support to salvage and rescue missions, forest surveillance and fire-fighting, and to monitor land use and historical heritage sites, among many other possible applications.